The concept of exfoliation is pretty simple: It clears dead skin cells from your face, brightening your complexion and reducing breakouts. Exfoliation can breathe new life into your complexion–and even reduce your likelihood of developing fine lines and wrinkles. But not all exfoliators are the same. They come in different forms and concentrations. Depending on your skin type or specific skin concerns, you’ll need a formula that suits your needs. It’s easy to get overwhelmed when faced with all the options. Here’s a guide with everything you need to know on which face exfoliator is right for you. Exfoliation is a crucial part of any skincare routine. By removing dead and dry skin cells, you make way for healthier skin cells. Exfoliation comes down to physical vs chemical. A physical exfoliator is also known as a face scrub. It has small fragments of a material that helps to buff away the layers of dead skin. A chemical exfoliator uses chemicals like AHAs and BHAs to gently remove dead skin cells and dissolve debris. Whether you have dry skin, oily skin, or something in between, there’s an exfoliator out there for you. Every person’s skin has different needs–and there are options out there to fit every skin type. If your skin isn’t prone to complications, then congratulations! You have a lot to choose from. For those with normal or combination skin, you don’t have to satisfy a particular skin type. You have a wider range of options to choose from. For physical exfoliators, you can use them between two and four times per week. Pair a buffing scrub with gentle chemical exfoliators for added effect. You can use exfoliators like salicylic, lactic, and glycolic acid to bring an extra glow to your skin. If you have oily skin–as well as clogged pores and breakout prone skin–you have a few things to consider. A physical exfoliator can be an effective way to scrub deep and purify your pores. It will help clear clogged pores–but you can’t exfoliate too much. If you scrub too much, you’ll dry out your skin, which only triggers more oil production. Use a physical exfoliator with microfine beads or natural beads twice a week to keep skin clear. You can use a chemical exfoliator up to three times a week, using either salicylic, lactic, or glycolic acid, as well as natural alternatives. Dry skin is a perfect candidate for exfoliation. A scrub will help polish away dry skin cells and keep your face from flaking. But exfoliation can be a double-edged sword. If you use a harsh scrub or a strong formula, you’ll strip all the moisture from your skin. More dryness will just cause flaking–and this can lead to breakouts. When using a physical exfoliator, keep it to only two or three times a week, and be sure to scrub gently. Look for an exfoliator with hydrating ingredients, like aloe, green tea, argan oil, jojoba oil, or hyaluronic acid. Always follow your exfoliation with a moisturizer to replenish your skin. If you have sensitive skin, you might choose not to exfoliate at all. Any kind of harsh or strong ingredient can make your skin tight, sensitive, and red–or cause breakouts. For physical exfoliators, look for gentle ingredients, like walnut or bamboo beads. For chemical exfoliators, stay away from high concentrations of AHA or BHA. You can use lactic acid for a more gentle effect or opt for a natural fruit enzyme like papaya or pineapple extract. When in doubt, look for all natural ingredients and avoid any harmful chemicals. Before using an exfoliator, try it out on a small patch of skin to see how your body reacts. Wrinkles and spots are a natural part of growing older. But you can reduce the effects by boosting cell turnover and keeping your skin clear of dead skin. Chemical exfoliators are best for signs of aging. Both lactic and glycolic work well, as well as a facial scrub that uses small beads. Don’t use them both on the same day–alternate the physical and chemical exfoliators. For added benefits, look for an exfoliator that contains antioxidants. This will intensify the brightening effect and help protect your skin from environmental damage. One of the many benefits of exfoliation is the renewed glow to your skin. By removing the top layer or skin cells, exfoliation reveals fresh, brighter looking skin. If your skin is dull, rough, or you have hyperpigmentation, chemical exfoliation is best. As long as your skin isn’t sensitive, opt for stronger concentrations of chemical exfoliators. Glycolic and lactic acid will give you the best results. You can also combine with a physical exfoliator. Look for something strong, with large and rough beads. Walnut beads do a great job of clearing skin with little effort. 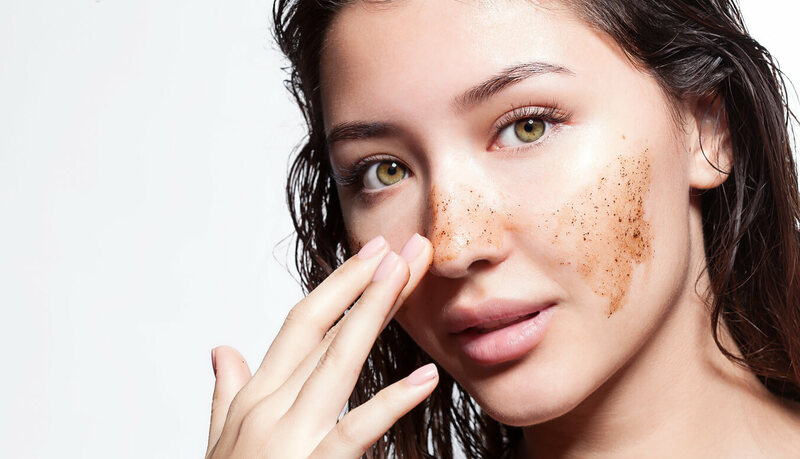 Which Face Exfoliator is Right for You? No matter your skin type, exfoliation can refresh tired skin and take you one step closer to a smooth, bright complexion. When it comes to exfoliators, there’s an option out there for everyone. Be sure not to overuse your face exfoliator, and don’t use physical and chemical exfoliators on the same day. With the right concentration and usage habits, you can attain your desired results. Looking for an exfoliator that uses all natural ingredients and is gentle on the skin? Let Clarity Rx help you! Check out our shop to find the perfect exfoliator for your skin.